That pattern has been modified in many ways. 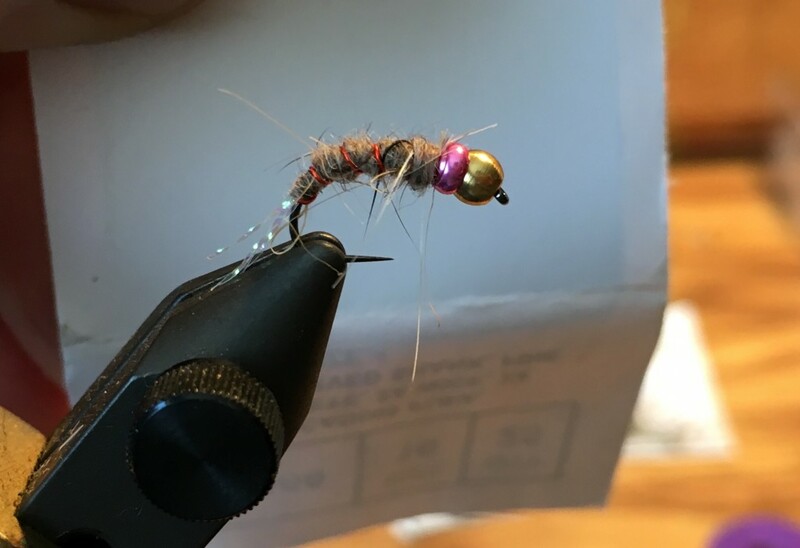 I have been using a pink tungsten bead and no pink collar and that works well too. No shot is needed so the splash is less and fewer tangles. Thanks.